"Two roads diverged in a wood... and I took the one more truffled"
when a mushroom spore lands in the right spot, it sends out a single strand, a hypha. That hypha travels out until it runs out of energy or meets the hypha of a different spore. If the hyphae are genetically compatible, they merge, initiating the formation of Mycelium: a branching, Resource hungry, web eager to explore its surroundings. The individual hyphae that make up mycelium are invisible to the naked eye, yet just under the surface of the soil this filamentous web is orchestrating a number of processes that underlie the continuity of all life. Some of these webs munch tough organic compounds like cellulose and lignin, forming humus, a foundation of soil. Others follow trails of plant sugars leading to roots. These roots then tap mycelium for water and minerals. The plants grow bigger, the web eventually munches them down, the soil gets deeper, and the offspring of trees merge their roots with those of their parents' through mycorrhizal networks. What started as two microscopic spores now supports an entire evolving ecosystem. 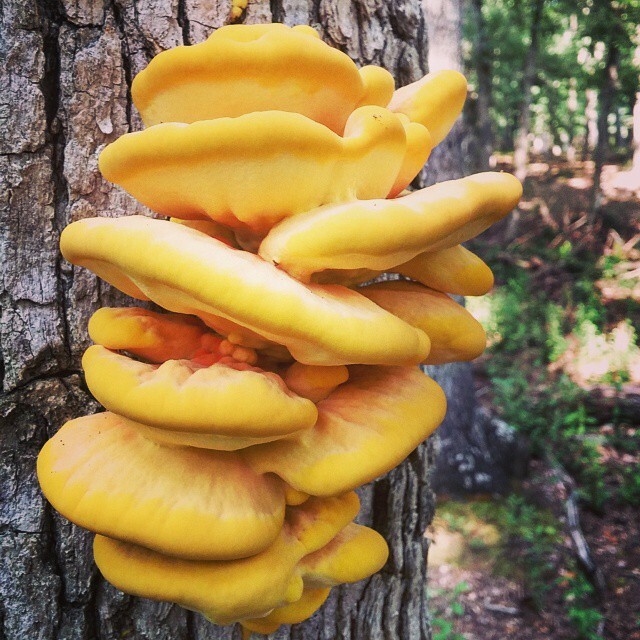 The intersection of humanity and fungi is a rich and fascinating subject. For some reason, people of certain areas embrace mushrooms and always have. Mention mushrooms to someone who grew up in rural Japan or Eastern Europe and there’s a good chance they’ll light up as they recollect childhood moments spent combing dewey woods with full baskets. Proper Anglos, on the other hand, after putting an end to the fairy ring dances and other myco-dionysian rituals enjoyed by their ancestors, made a point of ignoring mushrooms- that is, when they weren’t busy smooshing them for fear of igniting sinful passions. Regardless of the geography of attitudes, mushrooms tend to cluster where humans and nature interact- paths, clearings, roadsides, pasture. The evolutionary trajectories of fungi and humanity are more intertwined than we might realize. Our country was conceived by a bunch of, god bless em, Anglos. It’s understandable that even today many of us harbor fears of Killer fungi. We are after all products of our culture. That misunderstanding is beginning to change. It’s a one shroom at a time kind of thing. A slow march toward balance with nature and independence from the antiquated, wasteful, decidedly unshroomy systems which threaten our planet. if we are to steer this ship from the rocks, we must embrace the lunies on our path. 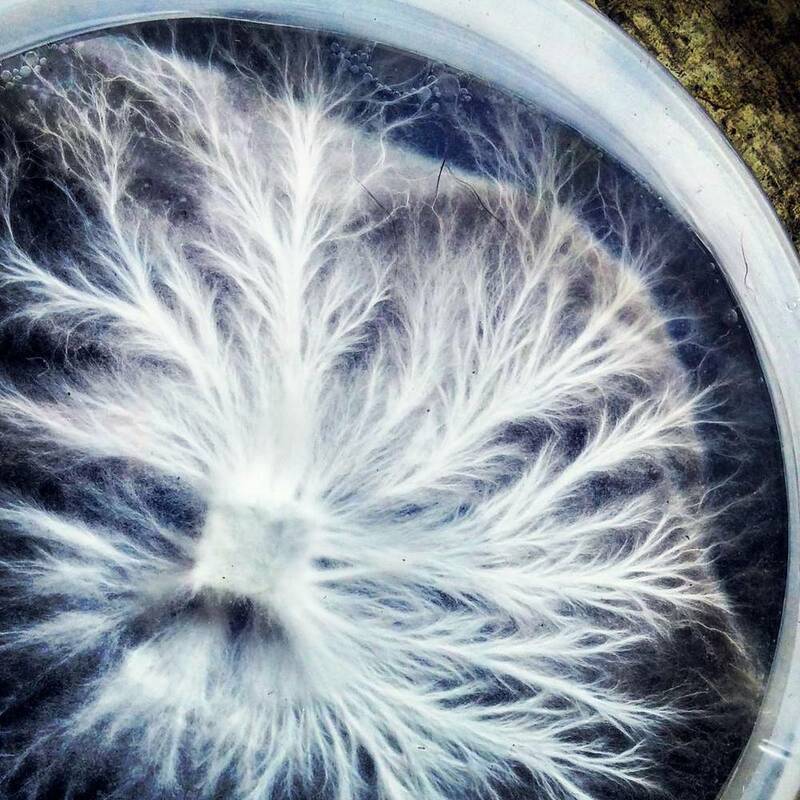 Just as mycelial webs build stronger forests with bigger trees, we have the potential to build stronger, healthier communities with the help of mycelium. Each able earthling, whether living in a highrise or a hut, has an obligation to leave the planet better than they found it. 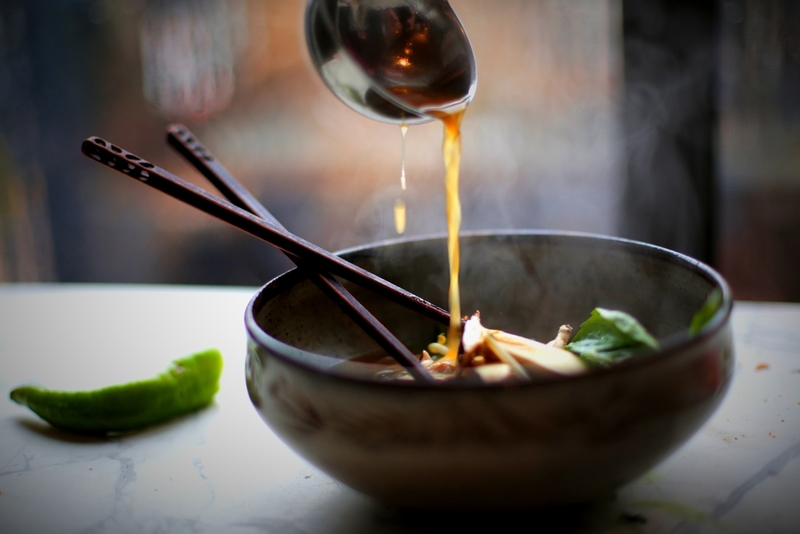 By reintegrating mushrooms into our modern lives- in our diets, our medicine cabinets, gardens, schools, institutions, imaginations, we can not only conceive of a better path but find the means to follow it. A road less travelled, more truffled. Grandiose coming from a couple mushroom pickers? Yes! But when you start learning about the amazing things fungi can do, it’s only natural to see potential where there wasn’t any before. So, merge your hyphae, branch out, hear the Liberty Cap’s sweet ringing and join us in everlasting Shroominess. The intentional use of saprophytic (decomposer) and mycorrhizal (plant symbiant) fungi in plant farming, despite promising initial results, is rare. The potential of fungi to improve agricultural production is so great it behooves those of us who grow mycelium to share it with farmers. First, mycelium is strong, very strong. It holds the soil (which it’s actively producing) together and even stabilizes air pockets within the soil matrix. This accomplishes several things: roots have more space to grow, the soil captures more water and is more resistant to erosion. Erosion and ever-decreasing soil depth are major challenges to the world's food supply. Second, mycelium is a network, meaning that distant points are strongly connected that otherwise wouldn’t be. It’s a network that loves water, so if a low-lying section of field remains saturated while the higher elevations are drying up, mycelium will wick up and distribute that water more evenly. Likewise, if the field gets deluged, mycelium will soak up as much water as it can and force the water above ground in the form of scores of plump mushrooms. Third, mycelium provides many of the essentially nutrients plants need. It breaks proteins into free amino acids; it frees minerals in a form that’s easily taken up by plants (especially with mycorrhizae present); it attracts other crititical organisms to the root zone. 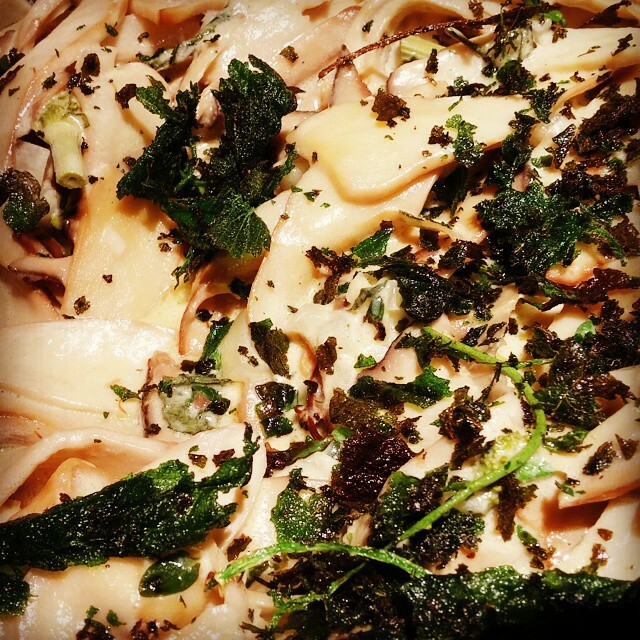 Mycelium also “exhales” carbon dioxide at ground level, boosting the rate of photosynthesis. If you’ve ever seen circles in your lawn where the grass is longer inside than it is outside, you’ve seen the plant-boosting properties of mycelium at work. Or you’re a lousy mower. Either way, this is important stuff. 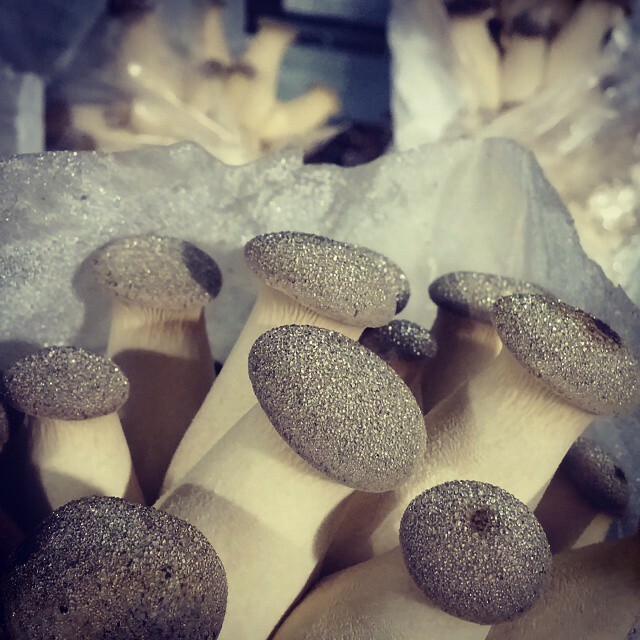 Mycopolitan works with Adrian Galbraith-Paul and the farm hands at Heritage Farm to grow mushrooms outdoors and provide customers with quality products for the home garden. We are excited to pass along our products and bi-products to folks interested in observing the effects of increased fungal diversity in their landscapes. 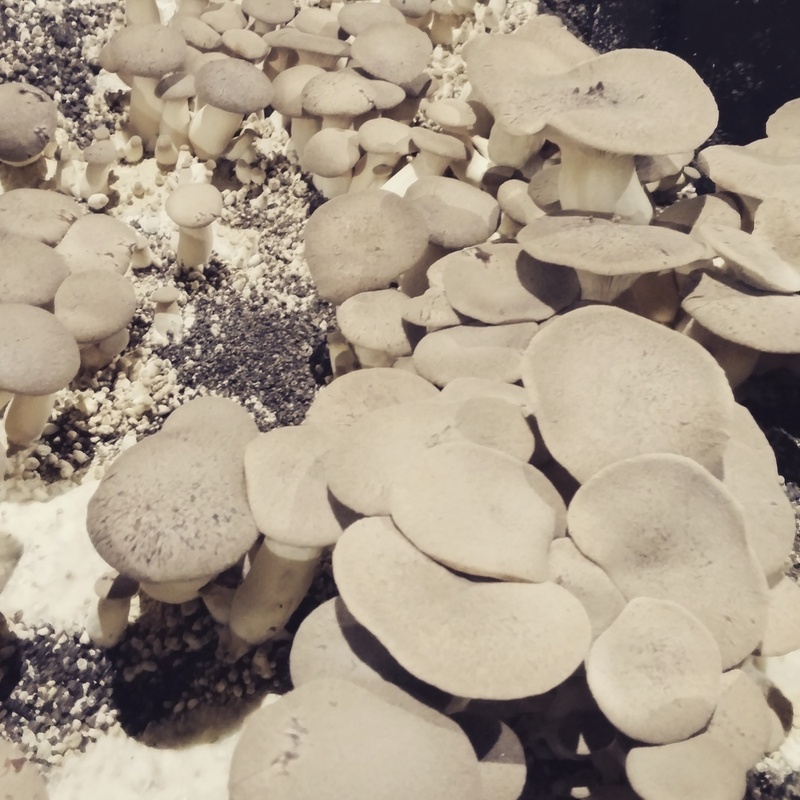 Visit our online store to get started growing mushrooms at home, or let us know you'd like a truckload of spent mushroom substrate to add to your compost . 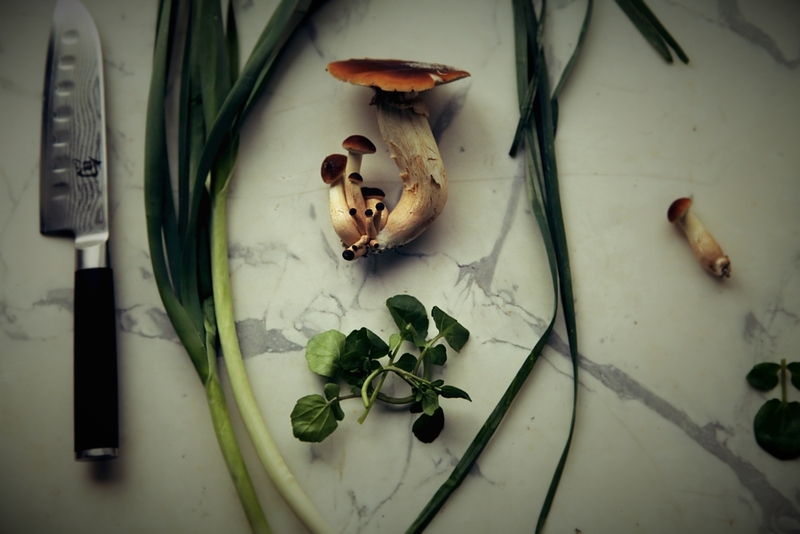 If you raise animals or worms, stop by the farm and grab nutritious mushroom trimmings. It is this type of open-source collaboration-- that which benefits all parties: the farmers, the animals, the customers, and the Earth-- that has the potential to create new, better ways of doing things. By working together, we will uncover those intersections wherein bounty lies.